The Cove Campground is a privately owned, certified tree farm. The Cove covers about 3000 acres located among the Appalachian Mountains. There are 3 large lakes in the area, as well as several ponds. The Cove provides family camping and public access removed from commercialization; it has many amenities such as hiking, swimming, fishing, boating, cabins, hot showers, target range, and winter snow tubing. There are 30 miles of ATV and motorcycle trails that run throughout the Cove. 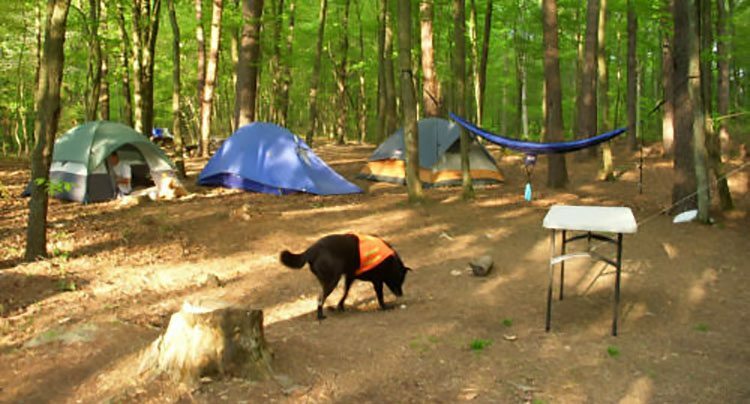 The campsites are large and most are wooded, several campsites are lakeside and certain campsites are available with electric hookups. It is the desire of the present owners to share the charm, solitude, and beauty of The Cove with those who love the outdoors.